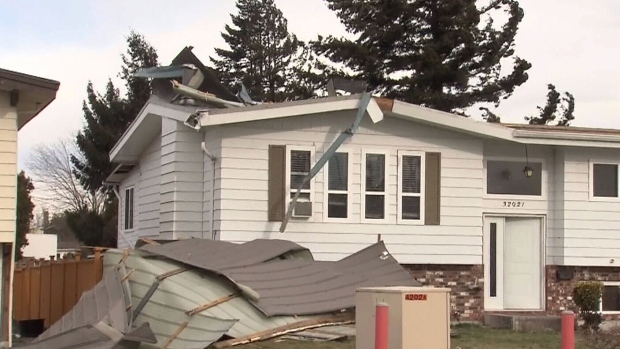 Power wind gusts ripped the roof off this Abbotsford home. 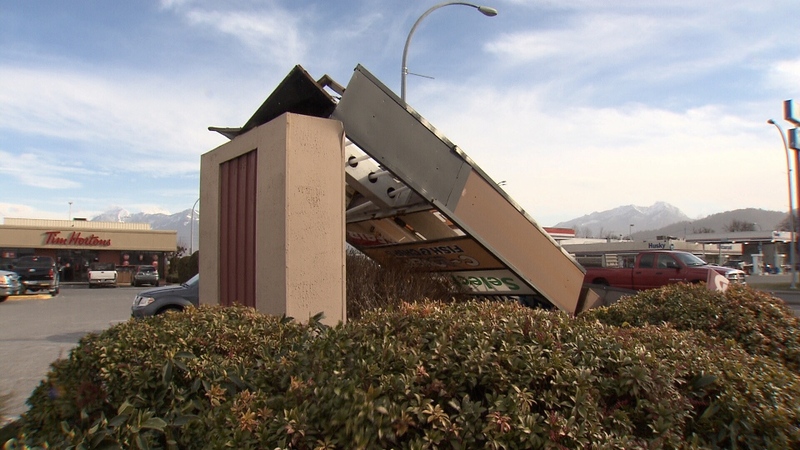 VANCOUVER - More than 9,000 customers were still without power in British Columbia on Sunday afternoon following a windstorm. On Sunday morning, Environment Canada ended a special weather statement for Metro Vancouver that had predicted a weaker storm. The national forecaster expected about two centimetres of snow in the region beginning later Sunday afternoon. The weather agency has snowfall warnings of five to 10 centimetres for east and inland Vancouver Island, Greater Victoria and the southern Gulf Islands.